Culture Shock in China: Culture shock can happen to anyone at any time, and it affects everyone differently. China, however, is in a whole different league. Sure, it has some aspects of Asian culture that you’ll find throughout the East, but there are certainly some unique aspects to Chinese culture that can take a while to grasp. 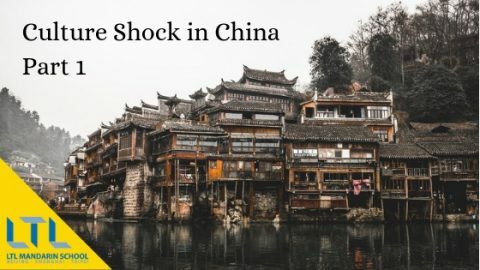 Depending on how you choose to immerse yourself into Chinese culture, culture shock is bound to hit you at some point. It can be as soon as you land and you are first introduced to crowds of people like you’ve never before seen. It could be when you step foot into your first Chinese taxi! Or, it can hit you when you’re least expecting it and you see something that you just… Can’t understand. For me, culture shock isn’t something I experience easily, despite the fact that I try to immerse myself into the culture as much as possible. However, China is a whole different ball game – and there are still some things after over a year living here that I just… Can’t question anymore. To prepare yourself for such culture shocks for a move to China, we’ve prepared a list of the top 10 things that are likely to cause culture shock in China. Or, at least a list of things that may or may not cause you to question reality. 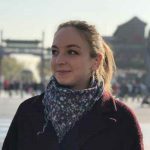 I add the small disclaimer that these are a mixture of personal experiences, as well as pet peeves and annoyances collected from a bunch of expats who have experienced the same ‘why China’ feels. They are generalisations and stereotypes a lot of the time, but just like the Brits love their tea – stereotypes are often true. Culture shock mind f*ck: Why open 20 bottles at once if you’re going to drink one at a time?! 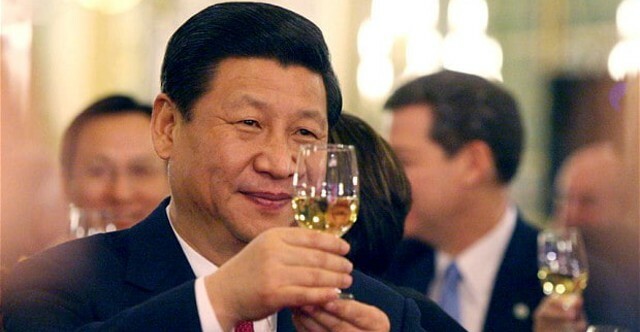 Culture Shock in China – Bottoms Up, Chin Chin, Just down the ******* thing! Whether you’re in a bar looking over at a table of Chinese buddies enjoying a beer or several, or you’re partaking in it yourself, you’re bound to notice a few differences between Chinese culture here and your own. One thing you’ll notice is that Chinese people can be a little forceful when it comes to drinking. This is all in good spirit (scuse the pun) – but you may have to exert extra caution when drinking with your Chinese buddies or colleagues. Especially if they’re on the Baijiu. You may also be subject to the ‘Gan bei’ culture. In Chinese, this literally means ’ empty glasses’. And emptying that glass is what they expect from you. Down that (thankfully small – see below) cup to impress your colleagues and superiors – or else be subject to somewhat taunting or just generally being made to down it until you do. But, the biggest ‘why’ for me has got to be the culture of ordering all of your drinks at once. It is common in Chinese culture to order, for example, 20 bottles of beer between a group of people at once. They then all come at the same time and sit on the table to stew. If you’re lucky, you may get an ice bucket to keep them relatively fresh and cool in. But, in reality, they’d have been better in the fridge, right? Culture shock mind f*ck: Is it really worth the actual fight?! So, in British culture, as I’m sure in many cultures, it is polite to offer to pay the bill. Of course, this depends on the circumstance and different people’s opinions. Should the guy pay on the first date? Should you split the bill? These are all different questions that can be grey areas in a lot of cultures, especially in the Western world. Culture Shock in China – Just pay the damn thing! When it comes to men and women going on dates or eating out at a restaurant, China usually still holds firm to the belief that men should provide for their women, so don’t feel too bad letting the guy pay for you on a date with a Chinese guy (see ‘dating Chinese people’ further below for more info). However, this also depends on many things such as how much Western culture the Chinese guy may understand, and it is also generally polite to offer to pay for a bill anyway sometimes, am I right ladies?! When it comes to dates, things are a bit more chilled out as, as a general rule, the guy will pay. But also ladies are welcome to invite their man out for dinner – especially younger couples and those more Westernized. 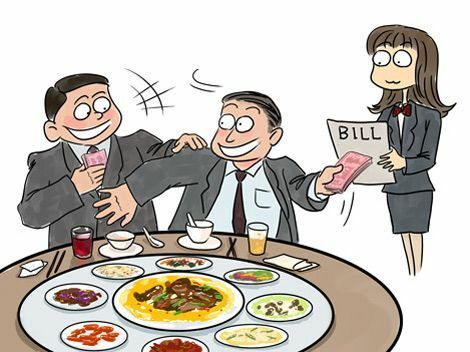 However, when Chinese people go out as friends you’re bound to see quite the spectacle when it comes to paying the bill. In Chinese culture, there is almost always the obligatory argument at the end of it that can literally get pretty nasty. It stems far past the ‘no… I’ll pay…!’ but only half mean. This is serious business and has to do with Chinese people showing face – and also the importance of status and money. Culture shock mind f*ck: But… It’s hot outside?! Oh, re shui. (热水 – hot water). You have been the topic of conversation of many an expat staying in China for a long time, and many a confused tourist. Your existence has been the topic of many amusing videos and continues to baffle even the most advanced of expats. Chinese Culture Shock – It’s ******* hot outside, why the **** do I want to drink hot water? It’s the peak of summer, you get yourself inside a restaurant to escape the heat and enjoy the air-conditioning inside whilst munching on some spicy noodles or plate of kung pao chicken. It’s a little spicy, so you reach for your cup and take a gulp, and … What’s this? How long has this cup been sitting here, out in the sun..? Dear Laowai friend. That cup is a fresh cup of water, made especially for you. Hot and in a stupidly small cup, just how you like it. To Chinese people, re shui solves all problems. This doesn’t stop at period pain, either. Yes, ladies, you heard it. 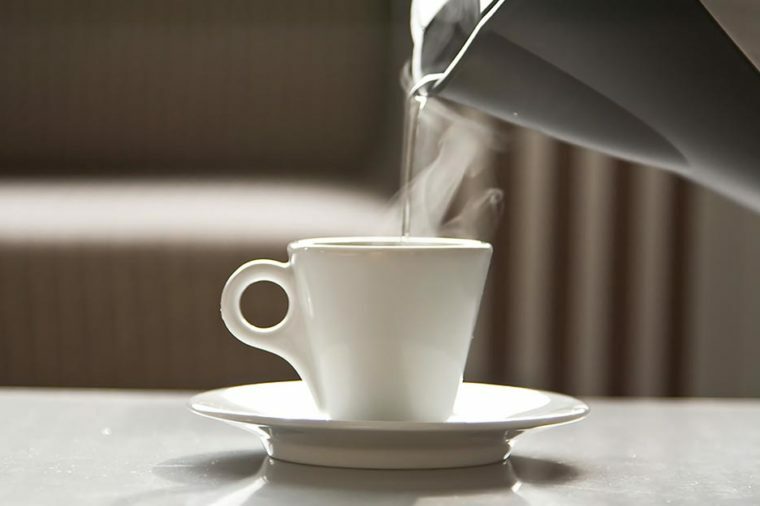 Drink a cup of hot water and you’ll be bedridden no longer. Ok, that may be a bit of an over exaggeration (but do try it nevertheless!) but what you definitely SHOULDN’T do on your period is to, God forbid – drink cold water. If you ever head for a coffee or a juice with your Chinese girlfriends, this is something that will probably come up in conversation at least a couple of times. Laowai (foreigner): ” … * tries to piece two pieces of information together* …. * can’t quite…. *..no it’s not….. *……* *Oh that’s right, it’s China. Let’s not question things we don’t understand”. This is also a common topic of conversation between couples. If you get it wrong – fear the wrath of your Chinese girlfriend! There’s some (minimal) science behind this. I strictly stand by the fact that, if it’s hot outside, I want to drink something cold. No matter what’s going on with my body or not. However, during the winter/autumn months in Beijing, I do enjoy coming home to a hot cup of re shui or having a cup of the everything-curing drink with my meal at the local Chinese restaurant hang-out. Culture shock mind f*ck: …Am I back in the 90s? This is also a culture shock that may affect you when going back to your home country. Or rather, reverse culture shock. You may even be surprised at how much this culture affects you personally and how you see it appear in your own life. Chinese Culture Shock – This is Music, really? Music is one of those things that we can’t escape. There are very few people I know who don’t listen to music on a regular basis, or at least have it on in the background at certain intervals in their day at least once – whether it be at work or home. A big suggestion of mine if you really want to get to understand Chinese culture, and want a great way to fast-track your way through the language, is to get into Chinese music. 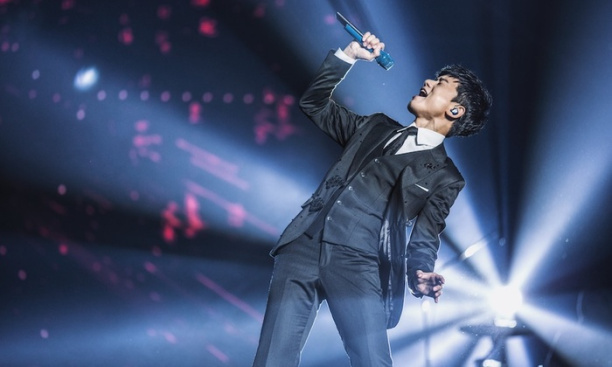 Listening to Chinese music not only means you are constantly listening to the Chinese language, but it gets you into what is popular in the culture at the moment. This makes it easier to make Chinese friends and be able to relate to Chinese people. It does mean, however, that your music taste may change somewhat. The general theme is going from something cool and alternative to something very… Chinese. You only know once you try it…! As a frequent listener of rock and metal, a year of living in China has done strange things to me. Look through my Spotify now and it could be considered as extremely embarrassing. But, whatever. You can listen to whatever you want and if I want to listen to awful Chinese pop or something that sounds like it’s from the 90s then I’m going to do just that. Will I be judged by my Western friends? Yes. Do I care? Only partially. Culture shock mind f*ck: Stop telling me you love me! Ok, this is a big topic and one that I can, unfortunately, admit I am too knowledgeable about. There’s a lot to cover on the cultural differences and culture shock you may experience when dating in China, but for now, I’ll go over the biggies. There is no middle ground. Dating in Western cultures is, well, dating. You meet each other, whether it’s on an app or the less conventional way – outdoors. Then you date, maybe go for a few drinks, dinner dates… Then if things go well, you’re officially boyfriend and girlfriend and you can change that Facebook status. In China, this is simply not a part of the culture. There is no middle ground. Everything is pretty quick. Don’t be surprised if you get an ‘I love you’ after the first couple of dates, and the talk of marriage and children on the first date is not uncommon. Things that those with commitment issues, such as the talk of ‘I’ll protect you forever’ and ’ how many kids do you want’, will scare people off straight away. But don’t fear. Yes, Chinese people do love to have children and get married and make their parents proud. There is definitely a certain aspect of urgency and rush to this one, but, if you’re clear about your personal opinions, needs, and wants, then there is nothing to stop you dating in China. But, it’s not just dating Chinese people in China. 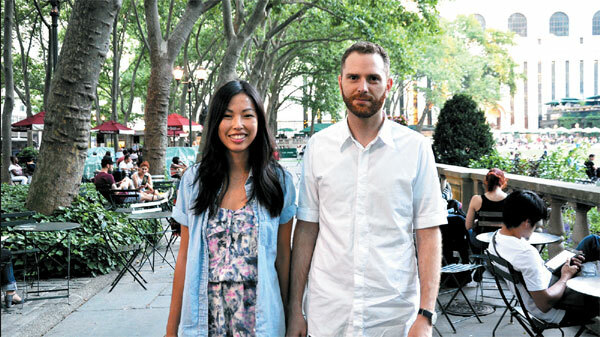 Come to a big city like Beijing and you’ll end up dating people from all over the globe. In fact, I can’t remember the last time I dated another Brit! The idea of it is kinda boring now. Well, thanks China for ruining that one for me..